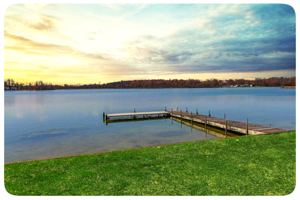 What if you had access to every Lakefront Home listed from every Real Estate Broker in St. Joseph and Elkhart County? You do! Our property search is directly linked to our Local MLS to give you updated listings every 10 minutes! Create your free account and receive up-to-date listings, sales, price and status changes! Simonton Lake is a Lakefront Community in Elkhart Indiana. It covers approximately 299 Acres and has a max depth of around 24 feet. It is best known for its great fishing, gorgeous sunsets, and loads of pleasure boating fun! Click Here to view homes on an Interactive Map.